Luis ‘Jon Jon’ Ferrer IV, Cavite 6th District solon, recently led inaugurations of five infrastructure projects in the province. Ferrer, together with Tanza Mayor Yuri Pacumio, Tanza led the blessing of a 4-storey, 8-classrooms building; a basketball court in the court Heart Foundation Village cemented basketball court in Barangay Santol; and a P50-million bridge that is expected to boost the local economy and serve as a better road network to the people of Alingaro village and nearby communities. The latter project links to nearby town Banay Banay, Amadeo and Trece Martires City, replacing the previous one-way steel bridge. The road network leads to the marketplaces, workplaces, schools and neighboring town and city of the upland village here. 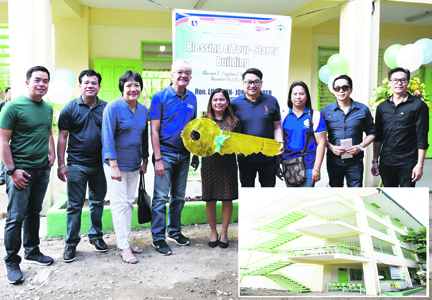 Ferrer also inaugurated two and four stories of classrooms Gen. Gregorio Alona Sr. Memorial Elementary School in Barangay Biclatan, General Trias.